October was a hectic month. The S&P500 plunged from the 1950s to 1860. Many sectors plunged. The energy sector had great losses this month. Surprisingly, the market rose to new highs closing in at 2018. Below is a summary of my Roth + Taxable portfolio standings and the dividends received in October. (with cash) … Avg Yield (no cash) Annual Divs Beta Avg …..
Below is a summary of the dividends received in the month of October 2014. 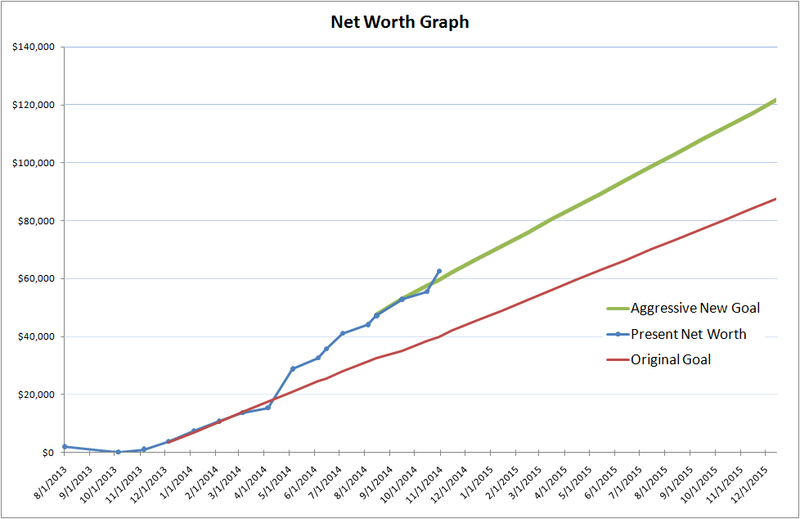 The graph below shows my progress so far. 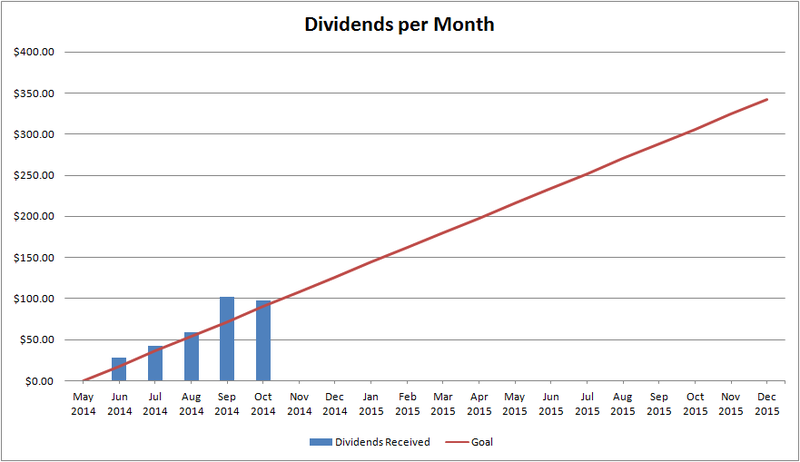 Presently, both my dividends and balance are growing at a rate in line with my predefined goals. 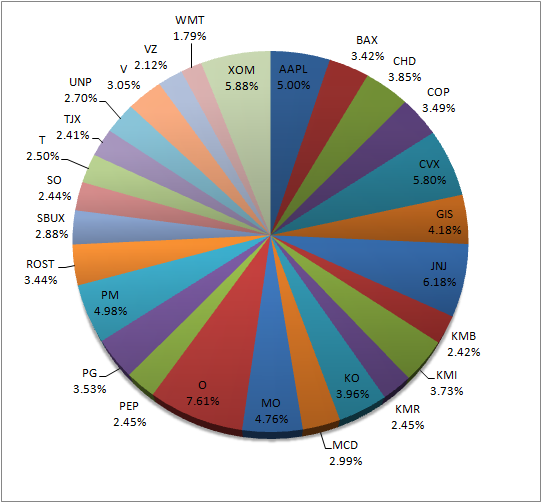 Below is a pie chart showing my current stock weightings in my Roth + Taxable dividends portfolio. I am currently heavily weighted in O, JNJ, the Kinder Morgan stocks, XOM, CVX, and big tobacco.